This Flash Course in Johannesburg is aimed at students who are new to the Flash environment. During the training students will benefit from hands-on practice with Flash to create engaging animations and stunning interactive designs. In this Flash course you will learn how to design anything using vector and all the built in Flash design tools. We will also learn how to use the different built in animation and effects presets to create amazing animations, banners, website effects and presentations. We will also learn how to use Audio and Video in Flash by creating an audio application as well as using it in your website. Learn how to use Flash by doing. A very fun and interactive Flash Course in Pretoria / Johannesburg. This Flash course will cover everything you need to know on how to create amazing flash adverts all the way through to creating flash marketing websites, presentations Desktop Applications and much more. We will also learn how to control Flash with ActionScript Code to create advanced Web and Desktop Applications. We will even create an Audio Desktop Application. Students that want to create awesome flash content with Audio, Video and Animations. Anyone wanting to make their websites extra special. Corporate Clients wanting to use flash to create amazing Flash Presentations. Anyone wanting to learn Flash in Johannesburg. For this Adobe Flash Course in Gauteng we will assume you have a working knowledge of Windows or Mac systems. You should be comfortable using the mouse and keyboard. You can always sit in for the same Flash Animation Course in Gauteng again at any time within a year for free. 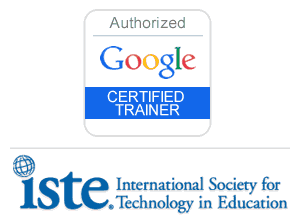 Our courses are practical – The best way to learn. Learn by Doing. Get a great Flash Course in Gauteng Johannesburg / Pretoria. For this Flash Course in Johannesburg we supply detailed course notes and reference text. We try to provide sufficient supporting material so that you can return to your work place with sufficient confidence to permit further learning. 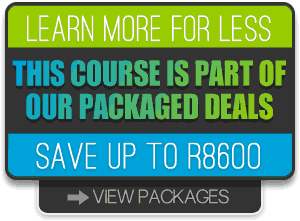 You also get all course activity and files on a DVD disc at the end of your Flash Course in Gauteng. There is nothing worse than leaving a course and feeling left on your own. We like to ensure our customers have all the support and backup they need which includes 90 days unlimited support by phone or email. You also get lifetime support through our Resource Centre. 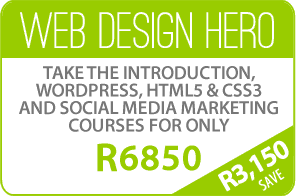 For the Adobe Flash course in Gauteng you can also sit in again for the same course if you feel you need a refresher. We provide water, coffee & tea during the day. You can have your coffee at your desk. A start to a great flash portfolio. A great practical Flash course in Johannesburg. A great collection of Flash Design and Development Books. Working Flash Code and Animation Examples.